Here are some terrific releases for this summer, to put into the beach bag or suitcase. 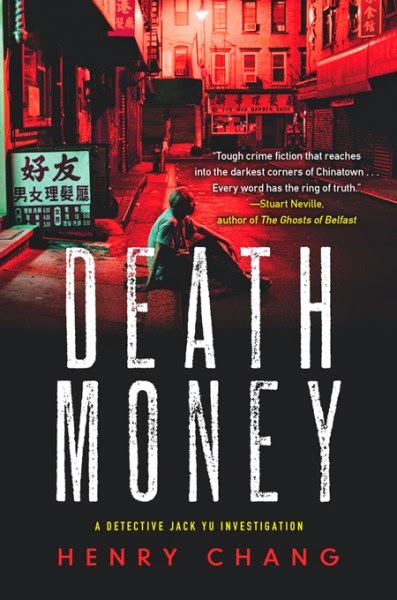 Henry Chang, DEATH MONEY. Fourth in the Jack Yu series, set in Chinatown, best yet. Review over the weekend, if I can make time. Missed out on the earlier ones? Reviews here. 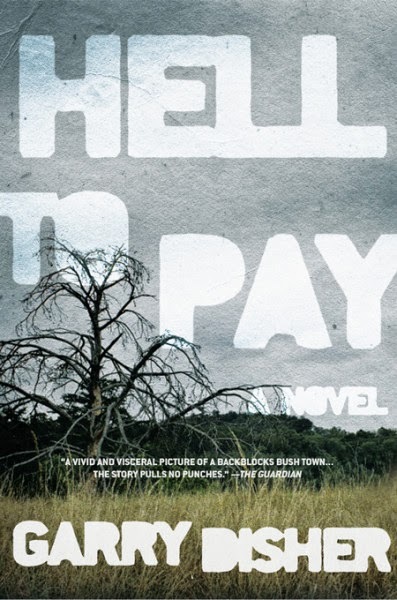 Garry Disher, HELL TO PAY. Let's hope this is the start of a new series .... yes, it's that good. Review to follow soon. If you haven't yet read Disher's Australian police procedurals and very dark crime fiction, here's a great place to start. We keep mentioning Disher and Dave and I fight (gently) over who gets which ones first; see why, here. 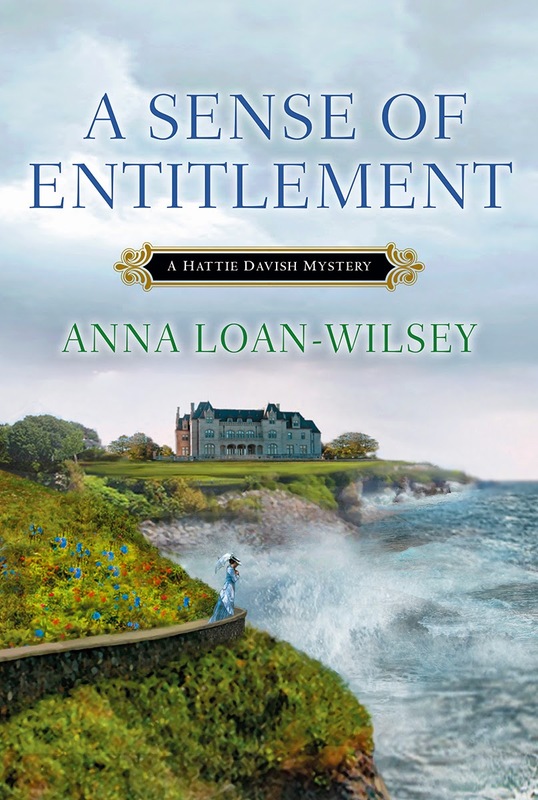 Anna Loan-Wilsey, A SENSE OF ENTITLEMENT. Third in the Hattie Davish historical mysteries, well plotted and paced, again showing that this author can take her material outside the soft "historical" stereotype with her assertive and intriguing sleuth. June 24 pub date, review soon. Loan-Wilsey's first book was amazing: review for that one, here. 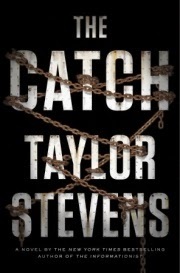 Taylor Stevens, THE CATCH. Exceeds even the high bar already set by Stevens for the androgenous and tough Vanessa Munroe, in another global thriller. July 15 pub date; review in early July. I wait all year for the next one, on edge (really). See why, here. Julia Keller SUMMER OF THE DEAD. West Virginia, third to feature prosecutor Bell Elkins, full of action, suspense, and bitter questions. Pub date is August, and review will run sooner, as it's worth pre-ordering (and lucky you, if you can attend an author event). Get ready with a look at her earlier work here. Here's a chance to jump into a well-written and adventurous mystery series right at the start, with the first book in Kate Dyer-Seeley's Pacific Northwest Mysteries. 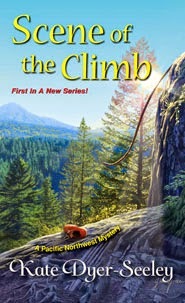 SCENE OF THE CLIMB offers an amateur sleuth in the great tradition of nosy journalists -- and protagonist Meg Reed not only has a nose for the wicked and dangerous, but also has the skills to write good copy for the outdoor magazine that's just hired her, in part on the basis of her late father's reputation as an amazing reporter (if also a weirdo near the end of his life). Too bad Meg doesn't have the rugged outdoor skills to go with her adrenaline-drenched assignments -- especially when she's climbing her first rugged mountain and a man's body drops past her, crashing with definite killing effect onto the rocks below. Matt maneuvered the truck in the direction of Angel's Rest. I filled him in on the events of last night. When I finished, he shifted around a corner and gave me a wary look. "Jesus, Megs, this is getting serious. But why go back? I don't get it." Matt said, shifting once again, slowing, "You're playing with fire here. I think it's time to call the sheriff." "I did. I left him a message this morning. You don't understand." I hated the pleading tone in my voice. "I have to find real evidence. I know it's Andrew. I have to prove it." Meg's cute and smart, and flirtation definitely raises its head -- but that doesn't distract from the pace or Meg's independence and sharp learning curve. And that's another reason the label "cozy" doesn't quite match here -- this is not a mystery twining around a romance, but rather a plucky chase after clues, motives, and risk. One more reason I'm suggesting picking up this book now, while the series is new and people don't know about it too much (outside of Vancouver, Washington, where Kate Dyer-Seeley lives): Although the book isn't digging into life's deep issues as Louise Penny's very different (and also NOT cozy) series does, there's an aspect of Dyer-Seeley's plotting that pushes SCENE OF THE CLIMB toward what Penny does: Underneath the quick and well-paced action is a dark secret of Meg's past that's hinted at, but not actually confirmed until the finale of the book -- so it's clear the series has a double arc of plot that's going to take us to an even riskier, more wicked flow of events. In the second of her "Local Foods Mystery" series, Edith Maxwell proves she's on for the long haul -- writing mysteries that tap into her own New England vegetable gardening "roots," and her tech systems know-how. 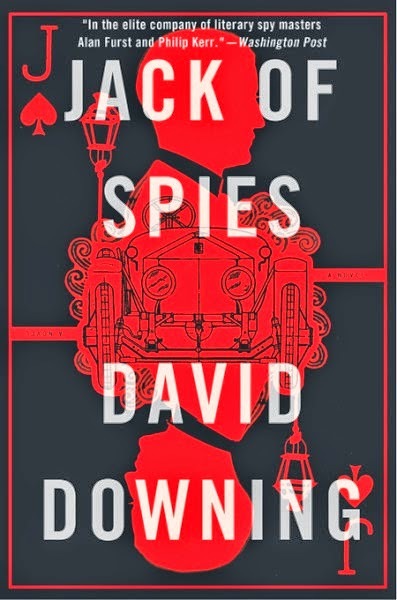 But most of all, Maxwell works from on two well-polished strengths: a fine sense of how to pace the plot of a traditional mystery, and an Agatha Christie-like understanding of how people come to threaten and sometimes actually do bad things. Market gardener Cam Flaherty kept her mostly organic farm on target through Maxwell's first in the series, A Tine to Live, a Tine to Die. At the opening of 'TIL DIRT DO US PART, she's hosting a dinner to celebrate the achievements of her first farm season. A pair of long tables with white cloths on them, a menu of local tasty offerings, a professional chef preparing the dishes -- even this is one of Cam's great results, as Jake, the chef, is her current flame and clearly appreciates her. "Listen, Mrs. Burr." Sim's voice boiled. ... "Your Jaguar runs like a real wildcat, and it's all my doing." "It's an engine. A foreign engine. I speak its language. That's all I need to know. Oh, and by the way? Ever hear of computers? Anything I don't know, I have at my fingertips." Sim planted her feet in a wide stance and folded her arms. "If you don't like my work, feel free to drive twenty miles down to the dealership and let them take your money." Bobby pulled at Sim's sleeve. "We gotta run. Good night, everybody." Irene nodded and turned away. Sim stared after Irene. Her face was so red, Cam thought she could see flames coming from her ears. "I'm going to get her, one way or the other," Sim muttered. As Wes walked by, he snorted. "Take a number, honey." So it's not really a surprise when the next chapter reveals Irene's been killed. (I won't say how; it could put you off your breakfast.) As police attention veers from one of Cam's customers to the next and the next, Cam can't help trying to find out the truth: If everyone had a reason to dislike Irene Burr, was there one person with "means, opportunity, and motive" to invoke the worst reaction? Of course, trying to solve a crime while keeping a fragile community-centered business going and while trying to sort out one's love life gets complicated quickly. Especially when the police interest in Cam appears to turn personal (triple complicated!). And threats multiply. Cam's got to solve the case or risk everything. Maxwell's clever blend of farm and garden knowledge with crisp scene-after-scene pacing makes a great update to the classic village mystery style. Her deft portraits of community members like Irene and Alexandra, Cam's most particular customer, remind me of the reason village mysteries have always appealed: We love the insight and the revelation that a thoughtful person, well motivated, can bring to her community. Count on Maxwell to continue the series, too; even if Cam solves this murder, she's sure to have threads still dangling from her life as a single woman with her own creative labor and the energy of her relationships. Speaking of Cam's relationships -- Maxwell adds at the end of the book a pair of recipes from Chef Jake's exquisite preparation of Cam's veggies. What else is heating up besides dinner? Cam needs to make some decisions! Check in with Edith Maxwell at her author website, http://www.edithmaxwell.com, where the events schedule shows she won't be tied down to her own garden too much this summer -- hope you can make it to one of these, to ask her how she balances writing with all the rest! My beach life has been the northern New England version: bring sweatshirt, blanket, long pants, extra socks, maybe even hot tea in a Thermos. No, it's not really that cold. At least, not often. Or not every day. What can I say? My mom loved the rocky, wind-swept coast of Maine; my dad never took us to the "gentle" beaches on Cape Cod because they are more crowded -- we could go to the colder side and spend less money and waste less time while still collecting shells and sniffing the salt air; and by the way, here in land-locked Vermont, "beach" means a narrow strip of sand alongside a lake where the last ice vanished maybe six weeks ago. But it's June, and there will be hot sunny afternoons, even if the mornings are "fresh" (almost frosty) and the nights sparkle with a cold clear star-scape. It's time to stack up the summer reading, whether it's for the beach or the hammock or the couch. Let's add the new Maine Clambake Mystery from Barbara Ross. Ross's first book in this series, Clammed Up, introduced Julia Snowden to readers last year. Snowdon may be from Maine, but her skills have been honed in New York City. Only her family's dire financial predicament has her back to the rocky coast, for a rescue mission that she figures won't last all that long. But here we are in BOILED OVER and it's clear her family still needs her -- every small accident costs the struggling family clambake enterprise in customers and profits. (What's a clambake? Picture all the Maine summer foods at once, from lobster and clams to potato salad and blueberry dessert. The hot part is the official clambake, cooked in a pit with heated rocks and some seaweed; the rest is a delicious harmony.) So when Julia realizes that her family's food scene as part of the Busman's Harbor "Founder's Weekend" celebration has just become a crime scene -- with a human foot -- her worries escalate rapidly. There goes the food investment; there goes the reputation of the family firm (again! ); and here come the police, skeptical about Julia's repeated involvement with suspicious circumstances and the hunt for a killer. I stood for a moment in the crowd, listening more carefully. Sure enough, below the happy chatter about the watercolors of lobster buoys and the oil paintings of crashing waves, there was a low throb of commentary from the local people on the other side of the tables. "They say it was the boy, the one who ran away." "I hear he's wanted by the police up in Washington County." "I heard he's a serial killer." "What was a person like that doing working for the Snowdens?" And always the refrain, "If he didn't do anything, why did he run?" Sometimes I frickin' hated living in a small town. Ross twists a tight and exciting plot from the hunt for the "boy who ran away" (is he indeed a criminal?) and for the motives leading to killing one of the region's leading business owners. And in Julia Snowden she has an amateur sleuth whose investigatory skills and motives are utterly convincing -- no need to make excuses for why Julia's on the hunt. Heck, the police officers are even giving her hints and asking for her help this time! (Well, maybe that move was too good to be true ... could explain why they seem to be following her ... ) And the lively characters and Julia's struggles to both embrace them and hold back something of her city self make the mystery even more interesting. A twist that writers and seasoned readers will especially appreciate is Julia's assignment for the Founder's Weekend committee itself: discover the town's past, and the reason it's named "Busman's Harbor." For some insight into Ross's research into her fictional town's history, check this post she wrote on the Maine Crime Writers blog, not long before the book was published. I enjoyed the mention of Busman's Honeymoon, and the real list of resources, too. Two more aspects make BOILED OVER into an especially well-rounded mystery for summer reading: the frustrating and poignant struggles that Julia's enduring with her romantic life on the side (how can she commit when she knows she doesn't belong back here? ), and the yummy handful of recipes to bring alive that taste of Maine, home of beans, lobster, blueberry pie, and more. Interested in meeting this author, whose books are rapidly finding a home on all sorts of bestseller and award nomination lists? She keeps an organized list of public events on her website: http://maineclambakemysteries.com/appearances -- and is as much fun in person as her sleuth Julia Snowdon is on the pages. The thing is, the covers for the Savannah Reid mystery series are ... frilly. Girly. Sugary. I might not have ever opened one, because I like my mysteries tighly plotted, with a good twist and memorable characters. Good thing the advance "uncorrected proof" copy arrived here in a plain paper cover with just the title and author and such, no images. Because that way -- I opened it. And once I'd devoured the first few chapters, I knew it had happened again: I'd found a well-developed series with an investigator I really liked and a pace brisk enough to keep me going, casual enough to be relaxing summer reading, and with a chuckle or a giggle tucked in every couple of pages. How could I have missed out on G. A. McKevitt's Savannah Reid series all this time? KILLER PHYSIQUE is number 19! Sheesh. In case you too are unfamiliar with this series, Savannah Reid has been a tough, clever, and very attractive police officer with plus-size body, great shoes, and a Georgia background. But over the course of this series, she's become a private investigator -- and as KILLER PHYSIQUE opens, she's also experiencing the novelty of being a PI married to a cop, Dirk, the man she's adored for ages. Except for how he leaves the toilet seat up, and his inability to grasp why she's frantically trying to get their house "perfect" for a first visit from Dirk's birth mom, now Savannah's mother-in-law. Luckily for Dirk, Savannah won't have a lot of time to focus on those homemaking details, because the couple can't resist jumping into an investigation of a very hunky actor, an old friend of one of their own dear friends. Actor Jason Tyrone isn't just "built"; he's the focus of groupies and his new film is a blockbuster. Unfortunately, Jason's soon dead, and Savannah's determination to figure out whether he's been doping his way to that "killer body" of his takes her into the dark side of Hollywood glam. And when Dirk's quirky "birth mother" arrives in the midst of it all, chaos erupts. The moment [Officer Bates] saw Savannah, a mixture of lust and loathing crossed his ugly mug, making him, if possible, even less attractive. She did find it amusing, though, to see him reach up and readjust his toupee -- sprawled like a roadkill raccoon across is head. And as he stood up and walked to the counter, he brushed some wayward corn chip dust off the front of his two-sizes-too-small uniform shirt. "Now, Officer Bates, you don't need to go getting all spiffed up just for little ol' me," she told him. Slipstream with Savannah and Dirk as they make their way into Jason Tyrone's mansion, and watch for the hint of motive that almost slips out of their grip, as for a while it looks like murder might be plain old mishap after all. But neither Savannah nor Dirk is convinced, and Dirk's china-toting visiting mama may have just the strange point of view that they need to find what's gone deadly wrong. P.S. - G. A. McKevett is the pen name of Sonja Massie, who used to write Irish historicals. Looks like Savannah Reid has been keeping her busy instead! Heaps of desk work, "yards" of garden tasks, but still ... so many books, so much pleasure. 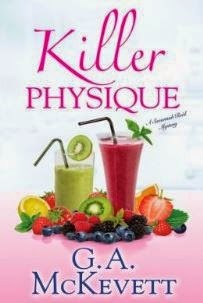 KILLER PHYSIQUE, a Savannah Reid mystery, by G. A. McKevett, a.k.a. Sonja Massie. 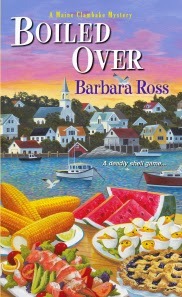 BOILED OVER, a Maine Clambake mystery, by Barbara Ross. 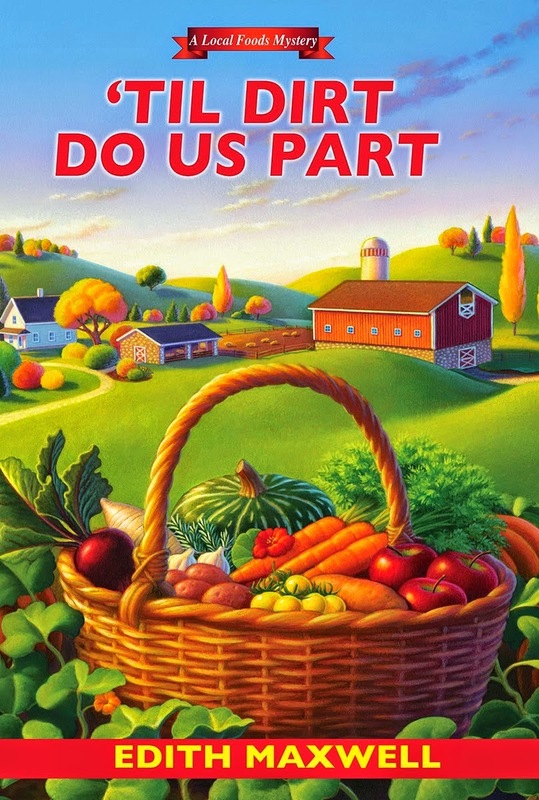 'TIL DIRT DO US PART, a Local Foods mystery, by Edith Maxwell. Yes, all those authors are women -- interesting, isn't it? Then there's a terrific handful of dark mysteries, with more of a mix of gender for the authors; hope you can check in regularly over the next few days.